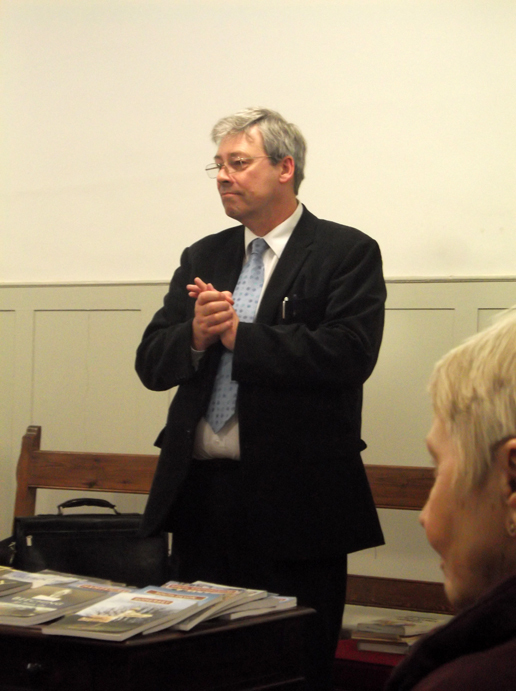 Our February guest speaker was Anthony Poulton-Smith who talked about Buckinghamshire place names. Anthony started the talk by telling us how he became interested in the origins of place names through his father and how he is slowly researching the place names of England, county by county. His research covers not only street and town names but also field names and pubs. He then opened the discussion and welcomed questions from the audience. Members had come prepared with questions on various place names in Buckinghamshire. One member even brought along a copy of a 19th century field map of Haddenham to get more information on some of the more unusual names. Our next talk is on Wednesday 20 March 2013 and will be on Three battles that saved the nation: Armada, Trafalgar and Jutland. We look forward to seeing you there. Actor Robert Blake and his bodyguard were arrested in connection with the shooting death of Blake's wife about a year before.